It is 1937, and Europe is on the brink of war. In the haute-bohemian circles of Austria, Germany, and Paris, Hitler is circulating a most-wanted list of "cultural degenerates"--artists, writers, and thinkers whose work is deemed antithetical to the new regime. 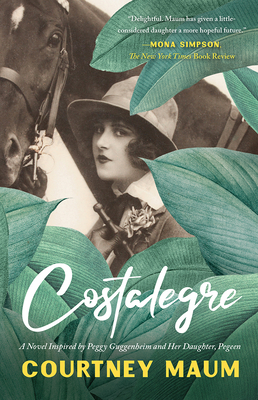 To prevent the destruction of her favorite art (and artists), the impetuous American heiress and modern art collector, Leonora Calaway, begins chartering boats and planes for an elite group of surrealists to Costalegre, a mysterious resort in the Mexican jungle, where she has a home. The story of what happens to these artists when they reach their destination is told from the point of view of Lara, Leonora's neglected 15-year-old daughter, who has been pulled out of school to follow her mother to Mexico. Forced from a young age to cohabit with her mother's eccentric whims, tortured lovers, and entourage of gold-diggers, Lara suffers from emotional, educational, and geographical instability that a Mexican sojourn with surrealists isn't going to help. But when she meets the outcast Dadaist sculptor Jack Klinger, a much older man who has already been living in Costalegre for some time, Lara thinks she might have found the love and understanding she so badly craves.